!!! 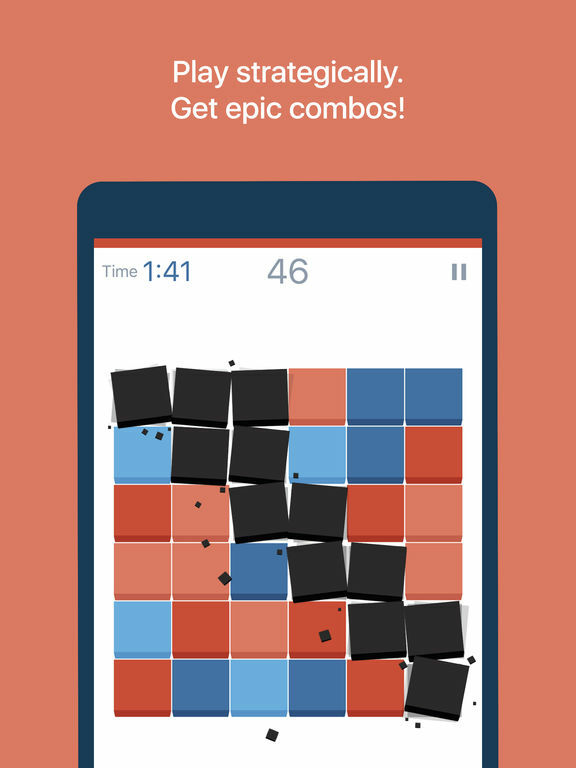 Play Limitless mode FREE until September 2 !!! Test your speed, logic and creativity! Discover strategies that will lead you to dozens of achievements! 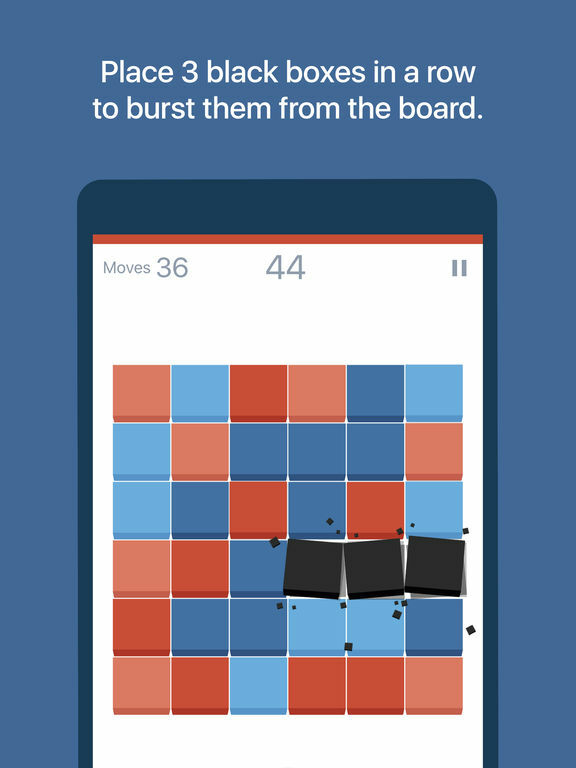 Watch the boxes shatter under your fingertips as your skills improve! 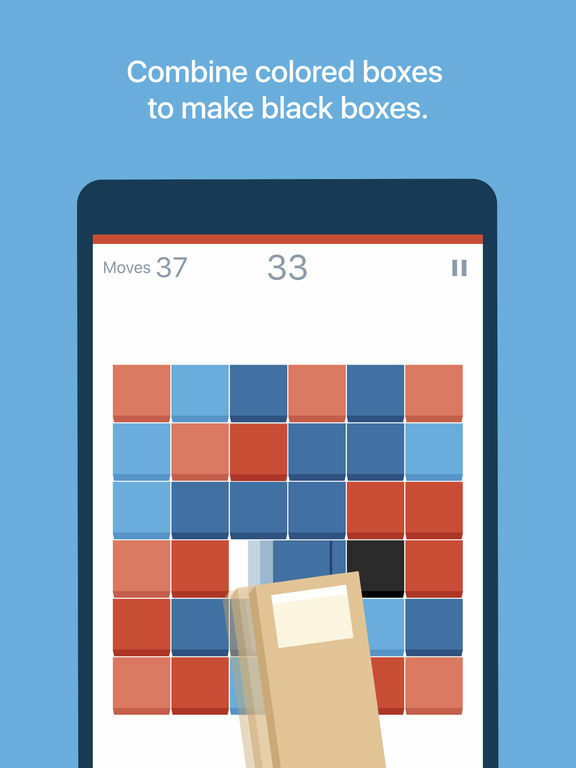 You'll love this addicting puzzler from the creators of the hit game "Shades: A Simple Puzzle Game". 1. 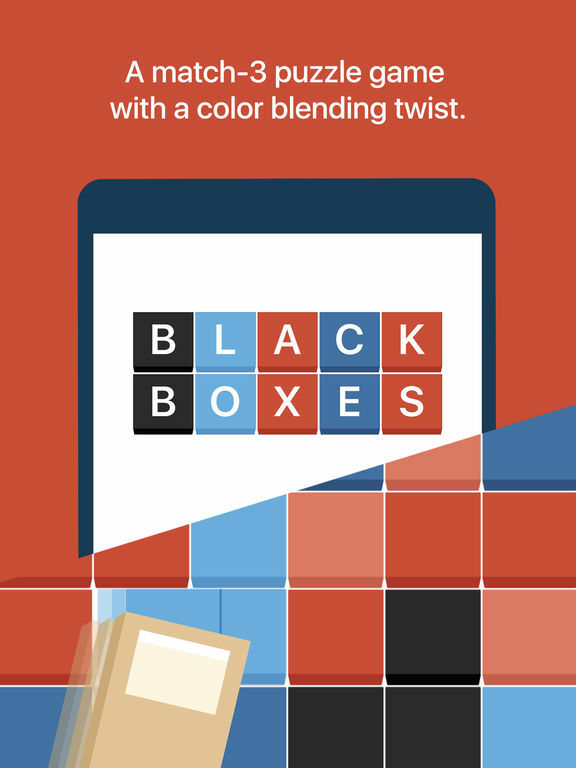 Combine boxes of the same color to make darker colors. 2. The darkest colors combine into black boxes. 3. Create 3 black boxes in a row to clear them from the board. Try all 3 modes of play! - Timed mode: The mode where you trust your instincts and go with the flow, because the clock is ticking and s/he who hesitates is lost. - Moves mode: The mode where you mull things over and plan ahead, because 40 moves isn't a lot so you want to make them count. - Easy to learn, hard to master, even harder to put down. - Combos. 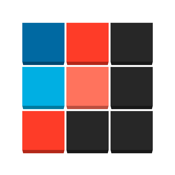 Build epic and creative combinations of boxes for extra points. - Earn credits. Each time you clear a box, you earn a credit. Use your credits to buy power ups. - Badges. Earn over 60 fun badges for fulfilling challenging tasks. You will also be rewarded with credits! - Cool sounds. (At least we think so.) But if you don't like them, you turn them off and listen to your own sounds.